← Danville, Pennsylvania. May 6th, 2011. Memphis, Tennessee. May 8th, 2011. 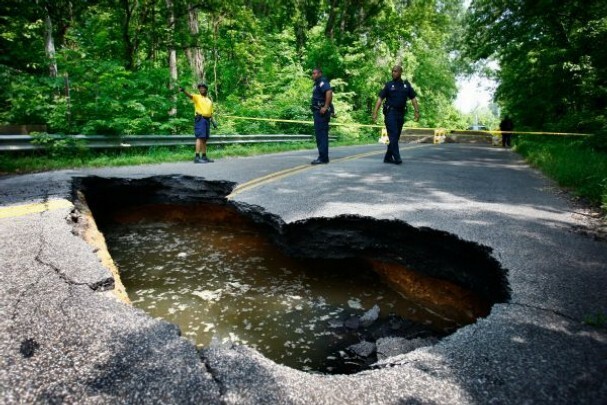 Memphis police officers inspect a massive sinkhole in Weaver Road south of Nonconnah that was created by flood waters moving under the roadway. This entry was posted in Pictures and tagged Memphis, sinkhole, Tennessee. Bookmark the permalink.